The ATIK 460EX was working great for me but I always felt that the FSQ106ED scope could actually produce better resolution images. I wanted, many times, to zoom in to a section of an original image and make a second image, capable of showing the structures within the nebulae that I was imaging. I noted also that the ATIK was not cooling to the extent needed during the hot summer nights in SE Spain. I could now understand why some cameras have a circulating water, cooling device, attached. 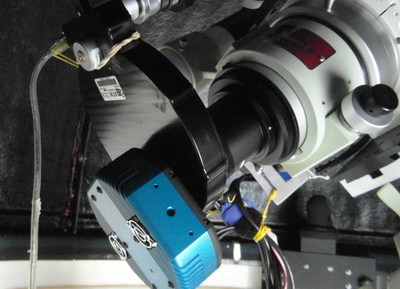 Cooling is very important when imaging with CCD cameras. 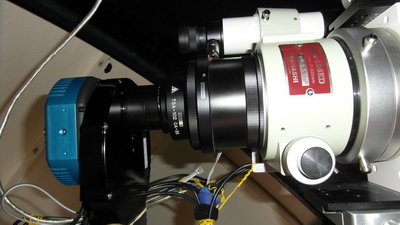 There is a direct correlation between the CCD temperature and the amount of noise within the image. On Summer nights (as in Winter to a lesser extent) it is imperative to cool the CCD well below the ambient temperature to improve image quality and I was on the lookout for a brand of camera that could handle the temperatures better. 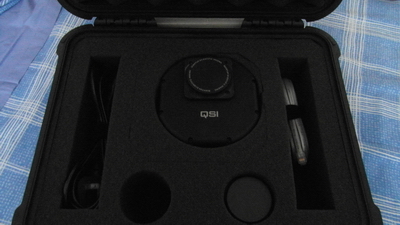 QSI seemed to offer just what I wanted re the cooling and when I noted that they produced a camera with a Sony chip at twice the resolution that I had, it appeared I had found just what I wanted. I made some enquiries, via internet boards, sought out some internet published images with the camera and when satisfied - went ahead and purchased. I have not been disappointed either with the resolution or the cooling system within the camera. 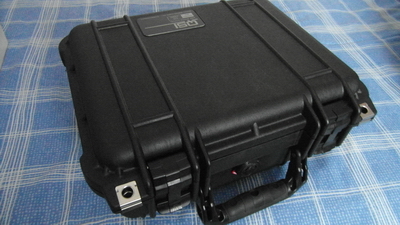 I bought the QSI 6120i model. Many people now go for the fully integrated models that have internal filter wheels and off axis guiding capabilities. I opted to continue using the ATIK camera for certain situations for a period of time - so I continued to use the same filters (& filter wheel) as well and guiding via a piggy backed guide scope - the TAK FS 60 CB - just as before. The QSI 6120i model is thus the basic for that range, but I can still attach an external (circulating water) cooler should I find that necessary. The 6120i camera in position behind the filter wheel.